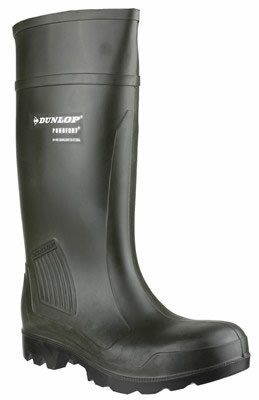 The original Purofort boot. Thermally insulated down to -20°C, this boot offers all the practicalities of Purofort; shock absorbing, durable and lightweight. Wide tread for all terrain. Perfect for farm applications. Resistant to oil, fat and various chemicals. Safety toe cap and midsole to S5 rating.